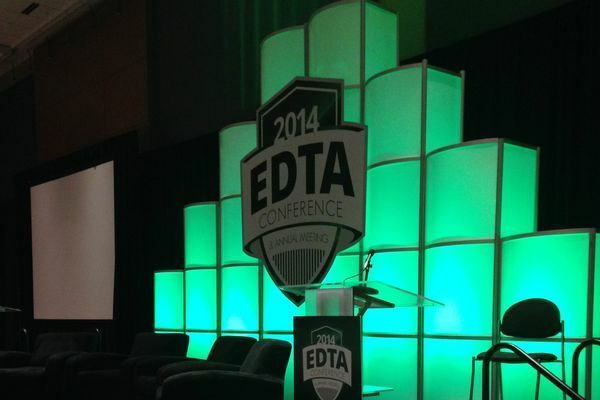 We wanted to focus in on one aspect of the event to give you an idea of the planning process. 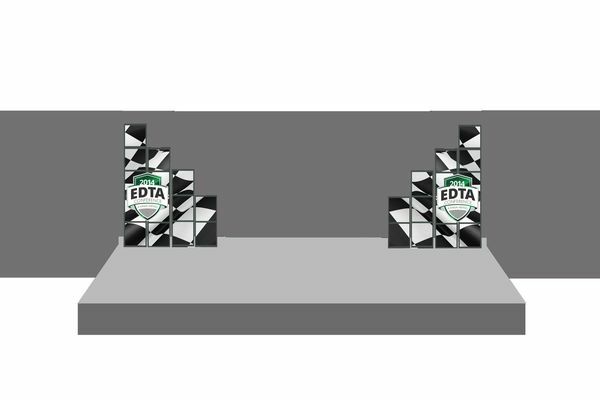 Today we'll be looking at the stage set design for the plenary sessions. 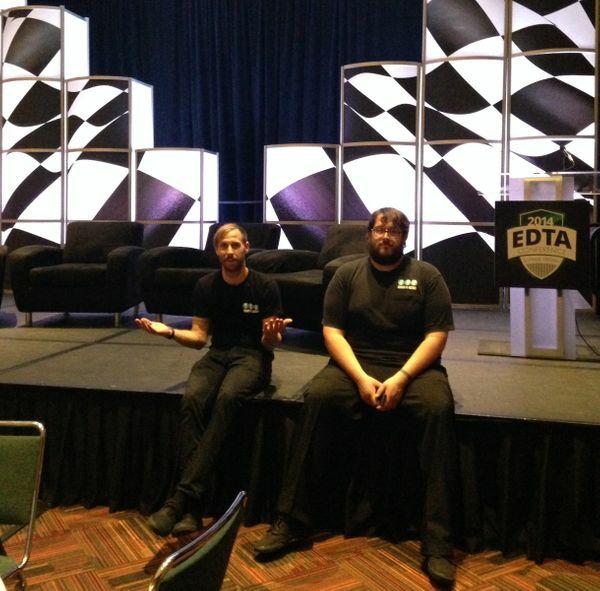 EDTA presented us with a unique challenge; with plenary sessions over three days, we needed to create three unique looks for the stage, incorporate conference branding and do this on a relatively small stage in a room with no rigging points. 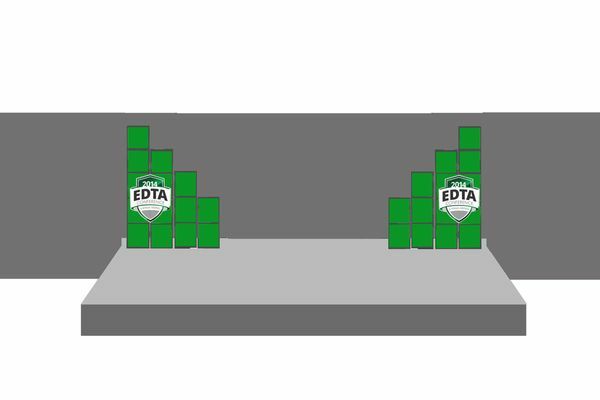 Also factoring in to the process was the fact that EDTA had not used set design pieces in the past, meaning that they would need to extend their budget for any solution that TSV suggested. We knew that a cost-effective solution was necessary, but that it would still need to make an impact. We immediately thought of our plexi columns, which combine lighting and optional adhesive graphics to make a big impact. The columns are modular, so they can be reset with a variety of arrangements to quickly and easily change the look of the set. Best of all, they are a cost effective solution, and they require no rigging or other support. 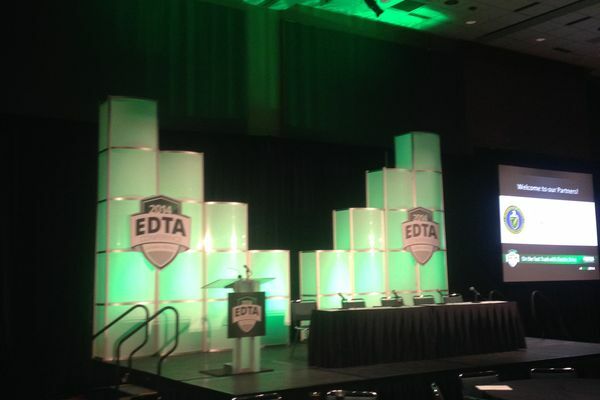 For the first two days, we used them to create a simple backdrop, lighting them with LED fixtures to create a green glow from within the columns, recalling EDTA's green and black logo, which was adhered to the set. For the closing session, we brought in the checkered flag that was a cornerstone of the event's branding, creating a massive graphic that covered the columns completely and backlighting the graphic in white to create a shadow box effect. 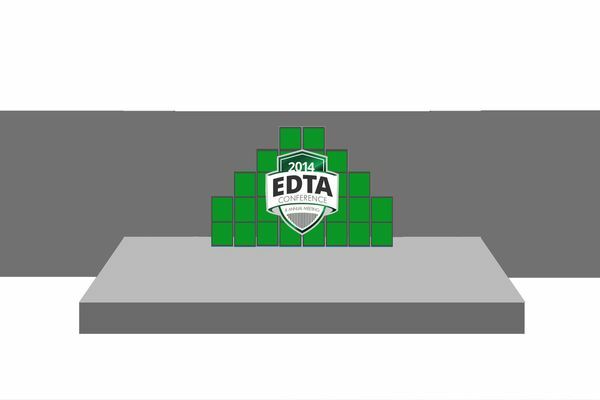 In the gallery above are the actual mock-up photos that we provided to EDTA during the decision making process, as well as photos of the finished product. The production was a big success, and we were able to demonstrate to our clients the impact that a minimal investment in set design can provide.